Frontier IP Group Plc (LON:FIPP) Chief Executive Officer Neil Crabb caught up with DirectorsTalk for an exclusive interview to discuss their partnership with the Department for International Trade, progress in Portugal, why they chose Portugal and future updates for their portfolio companies. Q1: Neil, you published an announcement yesterday, can you just remind us what that was? A1: Frontier IP Group has entered into a partnership with the Department for International Trade which really is going to help us build on the position that we’ve established in Portugal, we’ve been working with them for some time, but this is an extension of that relationship. It means that the British Embassy in Lisbon will provide us with strategic support so with regular meetings with the Ambassador and the staff at the Department for International Trade and that introductions will be made to potential industry partners and key decision makers in the Portuguese government and economy. So, from our point of view, this is obviously a prestigious endorsement from the UK government and it’s really important that we’re seen to be keeping the right company so it’s strengthening our presence in the market and it really should help to support the IP commercialisation work that we’re doing. Q2: What stage are you at in Portugal? A2: We’ve been working in Portugal for 2.5 years, we’ve got two formal university relationships, that have already been announced, with the Universidade de Nova de Lisboa in Lisbon and with the Universidade de Evora. We’ve also built a strong relationship with the Embassy, we had a Capital Markets Day there, at the Ambassador’s residence last January and we had over 70 people ranging from investors to academics to people from the business community therein attending. We were also able there to show working demonstrations of a number of Portuguese technologies including paper-based sensors, one actually from the UK, an energy efficient micro-inverter and many others. So, things are progressing really well, we’re in discussions with several other Portuguese universities where relationships have not yet been announced but importantly, we will shortly be announcing our first actual spin-out company very shortly. A3: Well, as far as we know there’s no other company similar to ours that’s operating there so there’s a clear opportunity for us to add value to what we see as very strong research base and where there is increasing pressure for commercialisation. So, what a lot of people don’t realise about Portugal is that there are actually a number of world-leading companies there already so by example, the world’s biggest cork company, the third largest paper company and one of the leaders in renewables, all Portuguese companies. We’re really interested when we see that strong industrial base because it means there’s a lot of us to go at and where you see strong industrial players, very often that also maps to a strong research base as well. 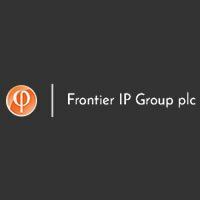 Q4: And as for the rest of Frontier IP Group? A4: Both us and our portfolio companies continue to make really good commercial progress. Alusid, as we’ve already said, is close to completing its fundraising and is in the proves of scaling up. Nandi and Fieldwork Robotics are in detailed discussions with potential industry partners and that’s very positive. So, we’re hoping we’ll see more good news coming out that we’ll be able to share with you very soon in the future. Click FIPP for the full archive.